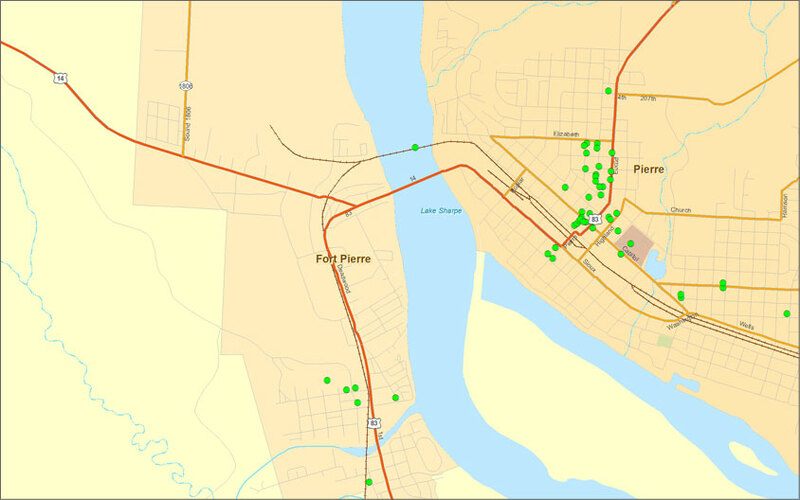 Click on Pierre or Fort Pierre for a detailed map. Click here for map of Sites Further Afield. You can also scoll down to the bottom of this page to visit the Bing map and get directions to all the sites in this travel itinerary. Click here for a Bing map to get directions.